Tyga claimed Blac Chyna is an unfit mother due to her hard partying, hard drinking and hard twerking ways, according to TMZ. “The Gold Album: 18th Dynasty” rapper is concerned Chyna is more intrigued with her clubbing lifestyle than taking care of their 2-year-old son, King Cairo. It was the twerking video of she and Amber Rose that pushed the rapper to make the decision to take her to court for custody of their son. Tyga claimed Chyna twerks day and night wherever there’s a camera, and he doesn’t want his son to be raised by nannies instead of his parents. 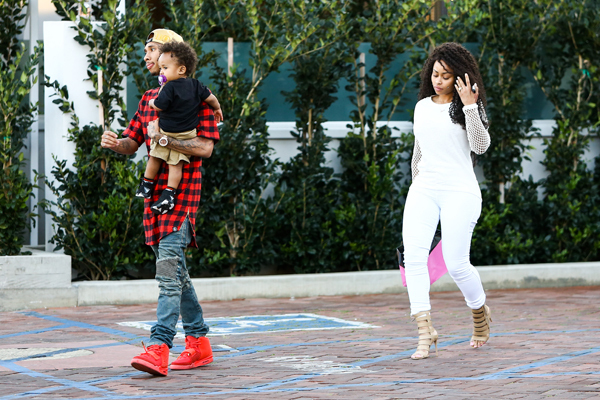 Chyna, a former stripper, has their son more than Tyga. But there’s no custody order, and he wants to change that by having primary guardianship over the 2-year-old boy. Nevertheless after TMZ broke this story, he was not happy and took to Twitter to express his disgust with the celebrity gossip site’s coverage before deleting the post. « WILL COLUMBUS SHORT FACE CHARGES FOR HIS BAR BRAWL?